It’s time to start planning your holiday visit to Disney World! 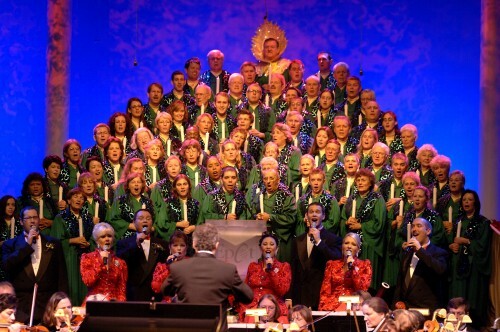 And we have exciting news about this year’s Candlelight Processional. If you’re planning on attending a performance of the Candlelight Processional we recommend booking a dining package – that way you know you have reserved seating. The Candlelight Processional dining packages include: a meal at one of Epcot’s participating restaurants and guaranteed seating at the evening’s performance of the show. The packages are available for breakfast, lunch, and dinner. Prices for breakfast start at $27 for adults and $14 for kids; lunch packages start at $39.99 for adults and $14 for kids; and dinner packages start at $51 for adults and $17.50 for kids. This year, Trattoria al Forno (located at the BoardWalk) and the Captain’s Grille at Disney’s Yacht Club Resort, have been added to the list of participating restaurants. For more information on reservations visit this page. And to learn more about the Candlelight Processional Dining Packages visit the Disney Food Blog. This entry was posted on Friday, July 8th, 2016 at 10:00 am	and is filed under Dining, Planning, Theme Parks, Touring Plans. You can follow any responses to this entry through the RSS 2.0 feed. You can leave a response, or trackback from your own site.